What good is a blog if no one reads it? You created a blog to share your point of view or help others. But if no one is reading your blog then you’re not achieving your goal. So how do you introduce your blog to people who would be interested and entice them to visit it? Well, there are multiple ways you can promote your blog. SEO is probably one of the best ways. And I’m not talking SEO with Google or Bing. I’m talking about Pinterest SEO. Yes. if you haven’t heard Pinterest is no longer a social site like people thought when it first launched. It is a visual search engine. 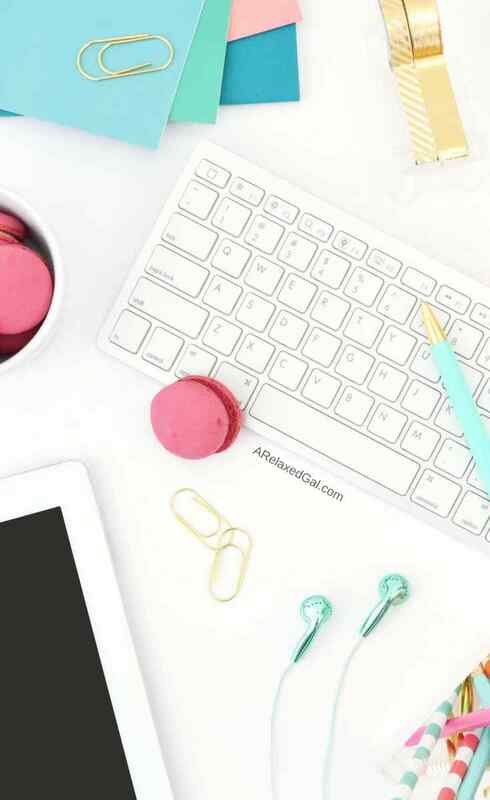 It’s a place where millions of people go to search for inspiration, tutorial, and to learn about new products which makes it a great place to get your blog content in front of your perfect audience. So how do you harness the power of Pinterest? There are several things you can do. 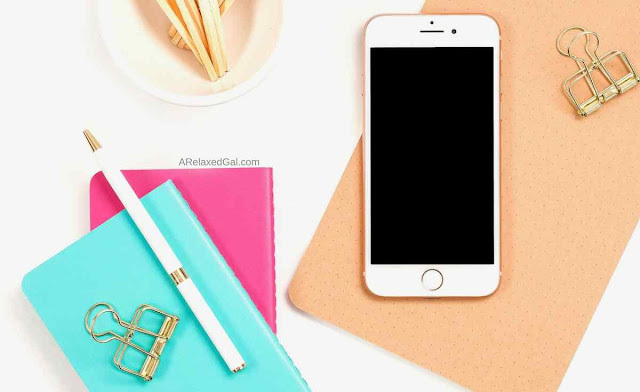 I outline several of them in my article How I'm Winning At Pinterest And You Can Tool including the one this article is focusing on. Using a scheduling tool. Now there are a few tools out that you can use but the one I prefer and use for my blog is Tailwind. As I noted, Tailwind is an online tool that helps you manage and optimize your Pinterest profile. It has many amazing features that help you get the most out of your Pinterest profile and make managing it easier. 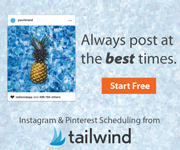 Additionally, Tailwind is an official Pinterest Marketing Developer Partner for Content Marketing so they have a good relationship with Pinterest. This is an important bonus because there was another popular Pinterest scheduling tool that was banned by Pinterest which resulted in them shutting down and hundreds, perhaps thousands of bloggers having to scramble to find an alternative and rebuild their Pinterest strategy. First, you’ll need to sign up for Tailwind. If you haven’t already you can sign up using my affiliate link and get a free month. This way you can try it out. There is one blogger plan for Tailwind it starts at $9.99 a month for an annual plan which gives you unlimited pins per month. There’s also a month-to-month option that is $15 a month and allows you up to 400 pins a month. I signed up for the annual plan because it saves me money each month and has fewer restrictions. With the Tailwind plan, you get several great features that just make pinning to Pinterest on a consistent basis so much easier. Whenever the people you’re trying to reach on Pinterest are active is when you want to get in front of them. And that’s what the Tailwind Smart Schedule helps you do. After linking your Pinterest profile, Tailwind analyzes it and provides recommendations on the best times for you to pin. You can either accept these times as is, add/take away from them, or change them up completely. When it comes to scheduling your pins there are multiple options. I use several of them depending on where the content I’m pinning originates from. Bulk uploads: Creating pins for your content can be tedious. But with the bulk upload feature that Tailwind has, it’s a lot less tedious. I can upload multiple images at once and have them sitting in my drafts ready to be scheduled. Browser extension: Tailwind has a browser extension for Chrome, Firefox, and Safari that when you’re on a page or article you want to pin all you have to do is click the extension, select the image you want and tell it where and when to pin it. Board Lists: If you have boards across multiple topics you can group them together with a Board List. This saves you a ton of time when you’re scheduling your pins because you just need to select the Board List and all the boards it contains automatically populate. Other scheduling options include pinning from your Instagram profile if you have it linked to Tailwind and Tailwind Tribes (we’ll talk about these a little later). Since Pinterest is a search engine and a good traffic driver you want to know what’s working and what's not. With Tailwind you can track your profile and follower growth and also see how each of your pins are performing and if they are seeing engagement. Within the analytics Tailwind provides is the performance on all of your boards. You can see which of your boards is getting you the most repins and engagement. This includes the ones you own and the group boards you’re a part of. This is invaluable information because it can help you determine if you should be pinning more or less to certain boards. And when it comes to group boards the board performance feature can help guide you on whether or not you should leave any of them. Occasionally I’ll run across a pin that is missing a link, missing a description or has a link that is flagged for spam. Tailwind looks out for you and will warn you when you run across this. When I get the warning I just discard the pin and move on. This is great because missing links, spam links, and missing descriptions can hurt your standings in the Pinterest smart feed. Tailwind Tribes are groups within Tailwind that you join and share your pins. The goal is that other members of the tribe share the pins which will amplify your reach and get in front of people you may not have been able to so easily otherwise. While this a free feature for everyone it’s a bit easier to use when you have a paid plan. Because you can easily add the pins you create to Tailwind Tribes by hitting the Add to Tribes button. When I first started using Tailwind I have to admit I was confused. It took me a few days but I figured it out and determined the best rhythm for me. I pin about an average of 20 times a day, some days it may be a bit less, other days a bit more. It all depends on the Smart Schedule. I schedule pins in various ways. To schedule pins for my content I do a bulk upload of my images, add my descriptions and URLs, and then add them to the schedule. Depending on how many I’m scheduling at once this can take about 10-15 minutes. To schedule pins of content from others I typically visit the page to see if it’s content I’d like to pin and then use the browser extension to choose the image. Or I schedule content from my Tailwind Tribes or from the Pinterest platform. This can take anywhere from 10-30 minutes depending on whether or not I read versus scan the content before scheduling. Occasionally I’ll go through my Pinterest analytics and find a pin or two that has done well and repin them. I tend to work on scheduling pins every day. Some days I may work on scheduling pins in the morning before I head out to work and/or in the evening when I return home from work. Many of the Tailwind Tribes have the same content. I’m a part of several Beauty Tribes and I tend to see the same pins in them. Despite the few dislikes I really do like using Tailwind and have recommended it to other bloggers. It does make my Pinterest management and scheduling a lot easier. So I can take time off or go on vacation and I don’t have to worry whether about staying active on Pinterest. If you’d like to give Tailwind a try you can do so using my affiliate link. You’ll get your first month free! Who doesn’t love free? I've been planning to get more active on Pinterest for so long, but I still don't really get how it works. Having that said, your article helped me understand the concept of it. Thanks for sharing! Awesome! I'm glad this helped. Pinterest is awesome. I honestly wished I had started sooner than I did. Such an helpful post! Hope to make good use of the information...Thanks for sharing. I'm glad you found them helpful. Thanks for reading! Aaaahhhhh....thank you Leah! I should try this out as soonest as possible since I intend on becoming a full-time blogger, in the next few months! You're welcome! Good luck on your blogging journey. I use Tailwind but I know I am definitely not using it to its full potential so I appreciate the info and tips in your post. Thanks for sharing! You're welcome! Glad I could provide some inspiration. Yes, do be more active. I saw a big difference once I started pinning more and used Tailwind to it's full capacity.